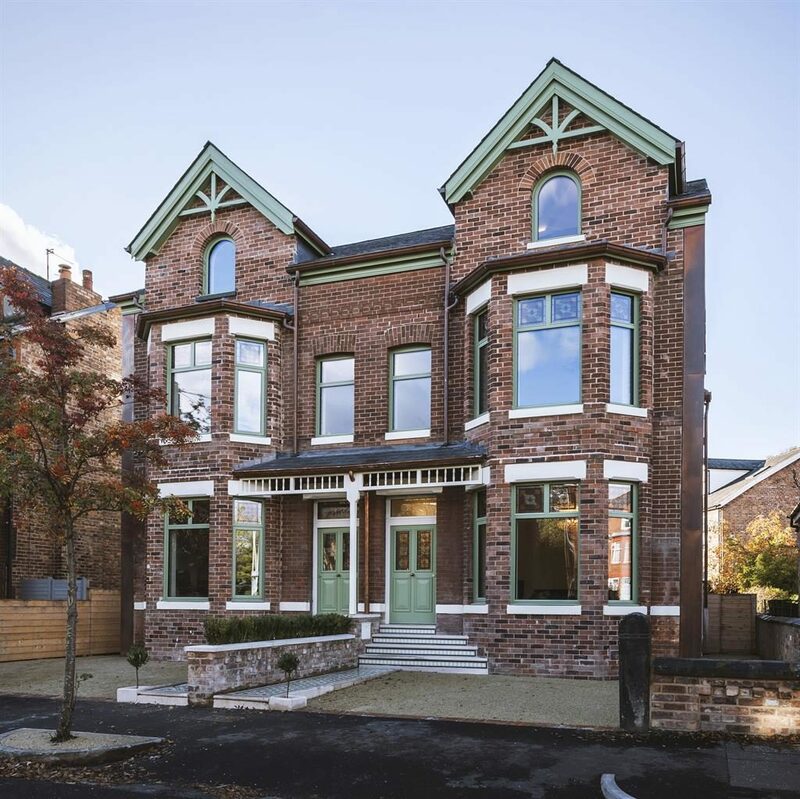 PERIOD features and groundbreaking eco technology might seem strange bedfellows, but they’re exactly what you’ll find in a pair of Victorian townhouses in Zetland Road in the exclusive Manchester suburb of Chorlton. Casting an eye over the classic exteriors, complete with ornate porches and tiled front paths, it’s obvious from their pristine appearance that they’re newly renovated. But that’s where all similarity with a standard refurbishment project ends. 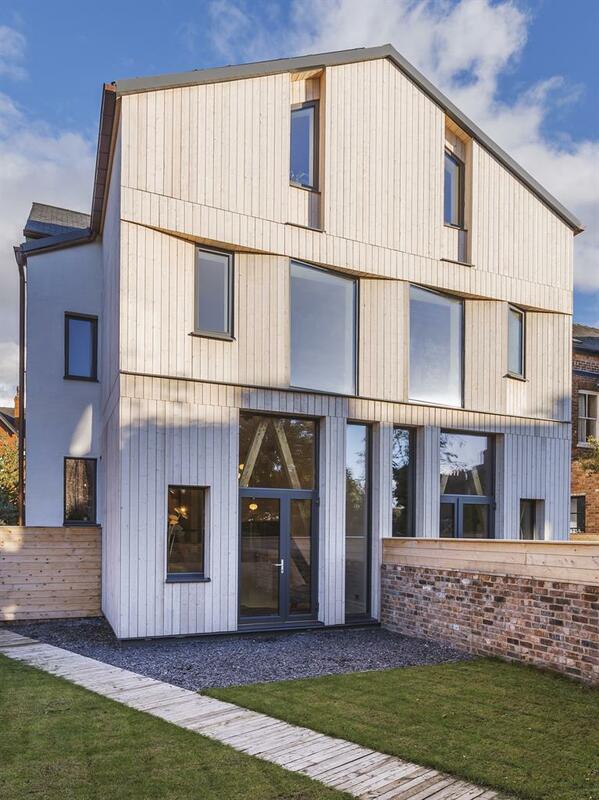 For these homes have undergone a substantial eco retrofit — so much so that they now rank in the top one per cent of the UK’s greenest homes. They’re the first homes in Europe to achieve EnerPHit status — the world’s toughest low-energy design standard for retrofit homes, set by the German Passivhaus Institute — and outperform 99.9 per cent of new builds. 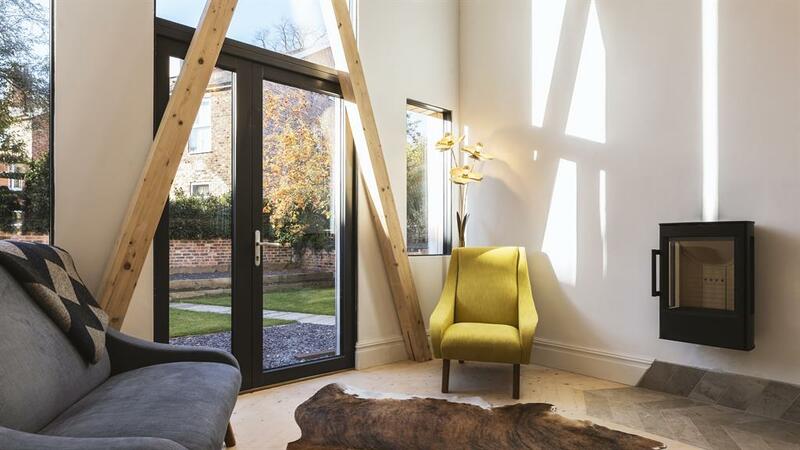 All this has been achieved by eco consultancy Ecospheric (ecospheric.co.uk), which designed the four-storey properties to be warm and comfortable all year round without central heating, while maintaining superb air quality and showcasing architectural features. One of the five-bed houses is now complete — and packed with innovation. Photovoltaic panels on the roof power lighting and appliances, and heat the hot-water tank. Since the home generates more electricity than it can consume, occupants will be able to sell the excess back to the grid. Insulation is predominantly made from recycled newspapers, the triple-glazed, timber-framed windows are angled towards the sun to maximise solar gain, and grey water that’s been used to wash hands is recycled to flush the loos. Fresh air circulates throughout, purified by means of a central heat- recovery system, which removes airborne germs and particles, helping to relieve hay fever and asthma symptoms. 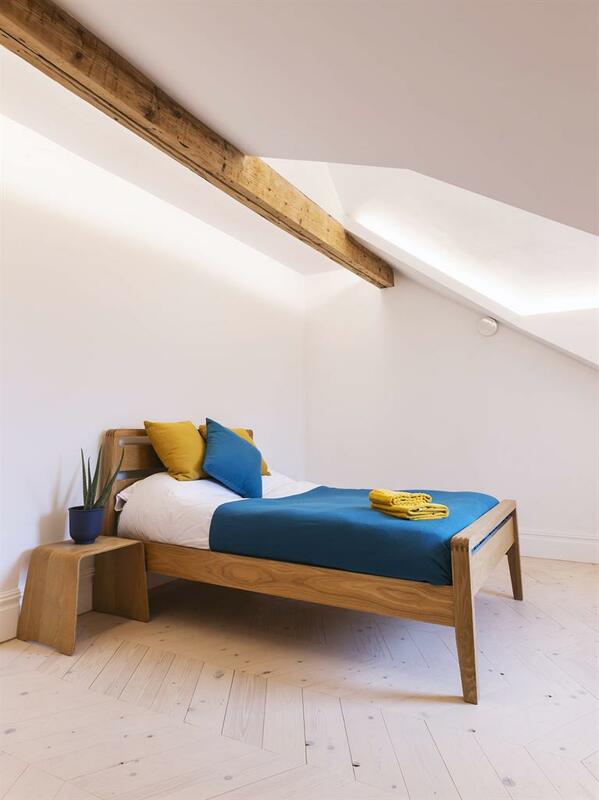 There’s a focus on natural, breathable materials such as lime plaster, which soaks up potentially harmful gases, controls humidity and minimises mould. The building’s eco credentials are as much about durability as conserving energy, and it’s virtually maintenance-free. Graphene, a Nobel Prize-winning super-material, is formulated into the interior paints to prevent cracking as it’s 200 times stronger than structural steel. External timber cladding is pre-fossilised, meaning it is resistant to rot and UV decomposition and the copper guttering and downpipes should last more than 100 years. 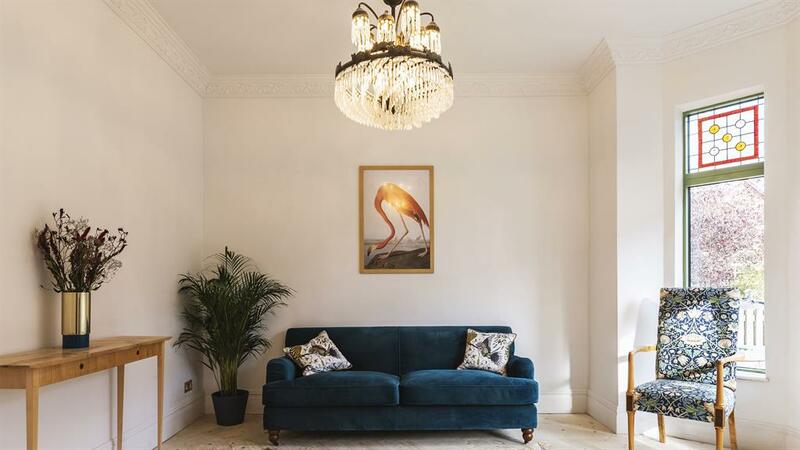 Period details combine with contemporary touches in the generously proportioned rooms, which feature high ceilings and restored features including cornicing, ceiling roses, dado rails and wood chevron flooring. Stained-glass windows are incorporated into the glazing at the front — a first for a passive house — and a roll-top tub sits in the family bathroom. 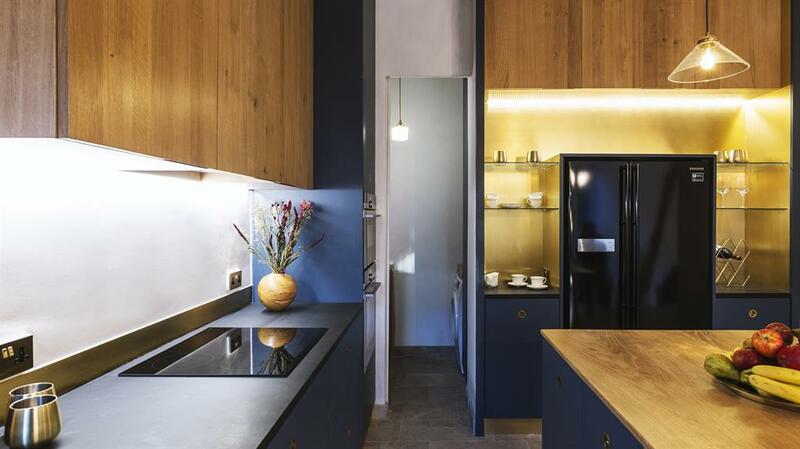 The open-plan kitchen, fitted with appliances rated A+++, is handcrafted in sustainable timber and complemented by hand-brushed brass splashbacks which not only look good but also prevent the spread of bacteria — as do the copper light switches. The house is so well insulated and energy efficient that central heating isn’t required. Zero energy bills and minimal maintenance are estimated to save the future owners around £50,000 over the next ten years, based on an average of £3,500 in gas and electricity bills and £1,500 in maintenance per year. So how much does this work cost? 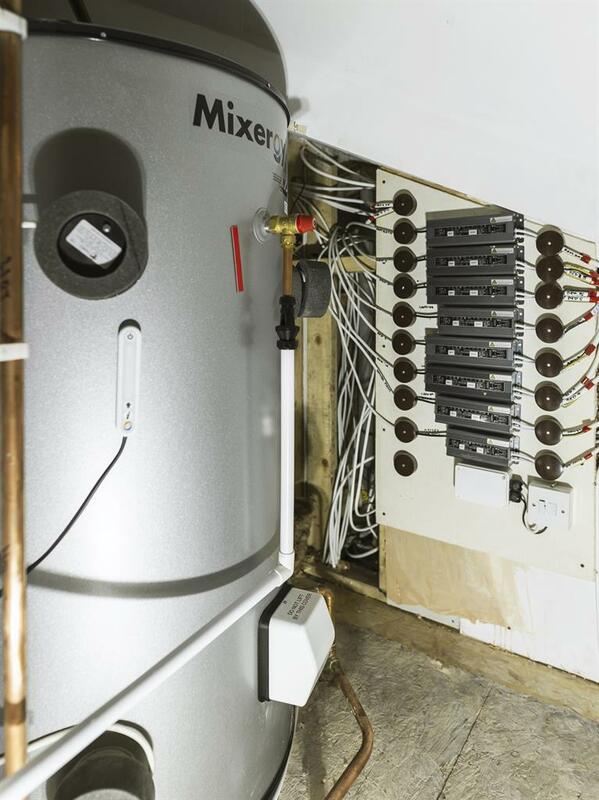 ‘Right now, the cost of retrofitting passive house performance-level energy-saving measures to an average home is around £60,000. However, as homeowners generally use the opportunity of a deep retrofit to also install new kitchens, bathrooms and extensions, the typical spend for such a project is often double that. 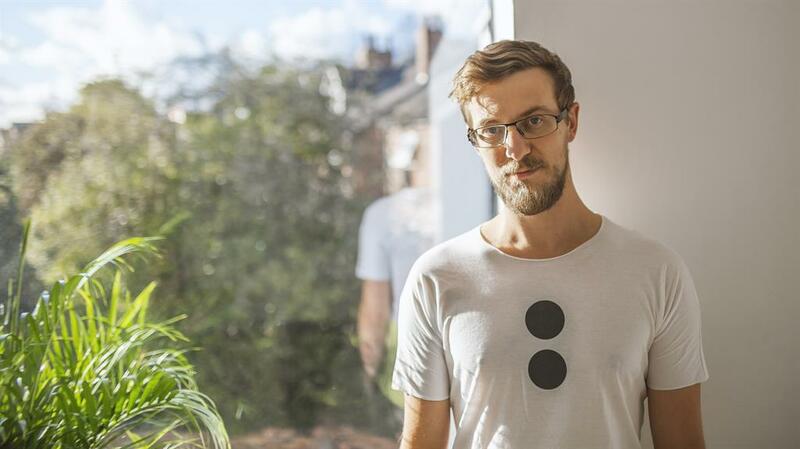 ‘This means for a £250,000 house, the costs for retrofitting are around 25 to 50 per cent of the value. Of course, as the property value increases, so that percentage drops.